Where Roots And Wings Entwine: JOHNSON’S® Tonight We Sleep™ Challenge Results. JOHNSON’S® Tonight We Sleep™ Challenge Results. 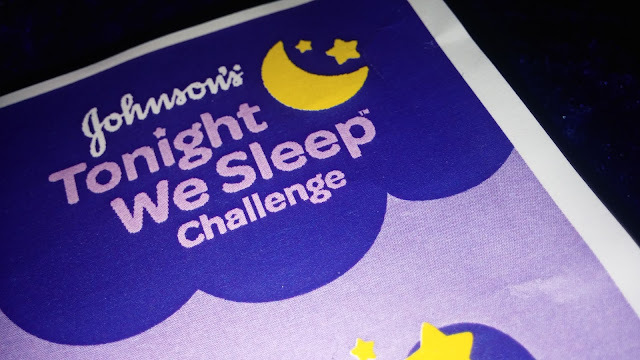 About two weeks ago I wrote about how we would be trying the JOHNSON’S® Tonight We Sleep™ Challenge to see whether we can improve bedtimes in our house. 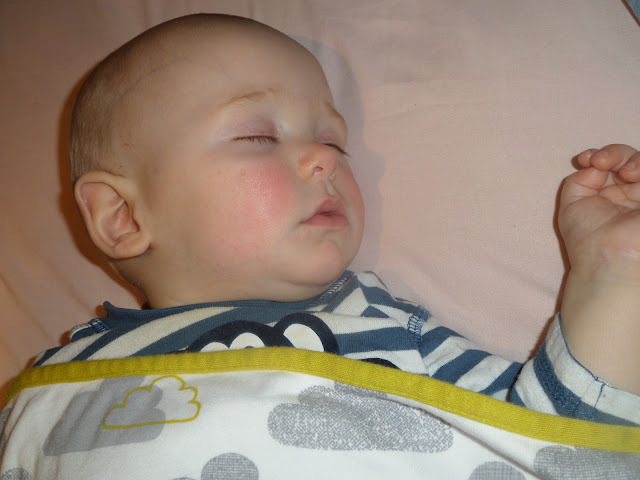 For a while now Jelly Bean has not been settling to sleep that well, waking a few times before finding a content, deep sleep which has had a knock on effect on the bedtime routine and one-to-one time with Bug. 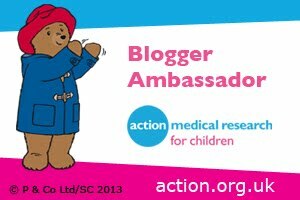 In the hope of making bedtimes blissful once again I jumped at the chance of taking part in the JOHNSON’S® Tonight We Sleep™ Challenge where we would follow the clinically proven JOHNSON’S® 3-step bedtime routine*. So that I could compare bedtimes when we have followed the JOHNSON’S® 3-step bedtime routine to normal bedtimes and see whether the routine has or hasn’t helped make bedtimes better and more calm, I have been using the Tonight We Sleep™ bedtime and sleep diary to document the past fortnight of bedtimes. 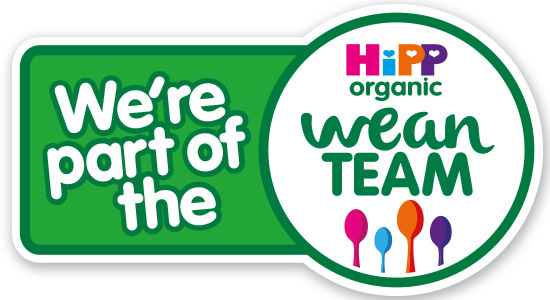 During the first week of the challenge we stuck to our normal bedtime routine of bath using non-specific normal bath/wash products, cuddles and bedtime story, and then bed. Whilst following our normal bedtime routine I found that bedtimes were as they have been for a while now, a little stressed and chaotic with me having to abandon my one-to-one bedtime story time with Bug as most nights Jelly Bean struggled to settle to sleep easily, waking a few times before drifting off to a deep, relaxed sleep. Following the challenge we then implemented the JOHNSON’S® 3-step bedtime routine for the subsequent week in the hope of making bedtime better. The 1st step of the clinically proven 3 step routine saw us starting with a lovely warm bath as we do for our normal routine. 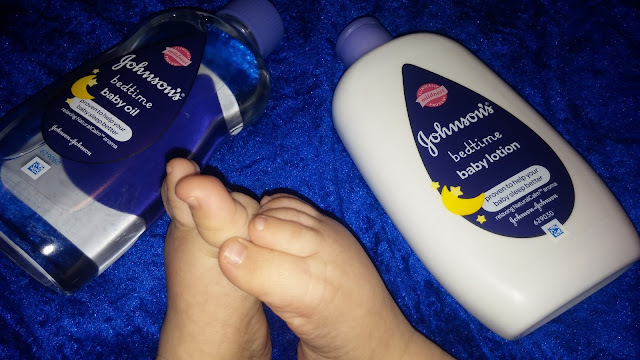 Unlike our normal routine we used JOHNSON’S® Bedtime Bath or Wash.
For the next step of the routine we gave Jelly Bean a soothing massage after his bath using JOHNSON’S® Bedtime Oil or Lotion. We used tips provided by JOHNSON’S® in their guide for a calming baby massage to give him a relaxing massage before bed. 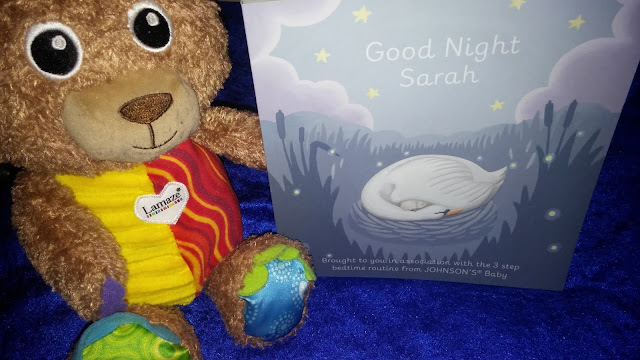 We completed the challenge by keeping the room quiet and distraction free, as we read a bedtime story such as the ‘Good Night Sarah’ book created by the makers of JOHNSON’S® and other baby books before settling him to sleep. Like our normal baths Jelly Bean enjoyed the multi-sensorial baths where we played, bonded and connected whilst cleaning him. 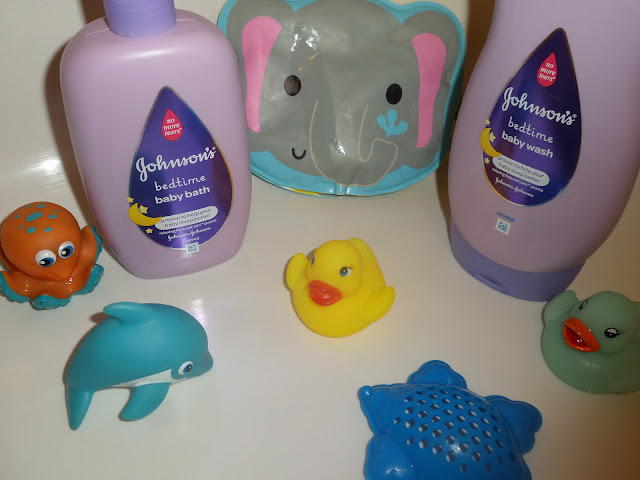 Enjoying the benefits of splishy splashy bath times that were SO MUCH MORE™ especially thanks to the addition of JOHNSON’S® Bedtime Bath or Wash I noticed that Jelly Bean was already calmer than he normal is after baths. The JOHNSON’S® Bedtime Bath with its special blend of gentle and calming aromas and release of NATURALCALM® essences helped created a relaxed environment and a heavenly scent that seemed to calm Jelly Bean ready for bed. As Jelly Bean loves a soothing massage he was in his element being pampered with a week filled with massages after his bath. 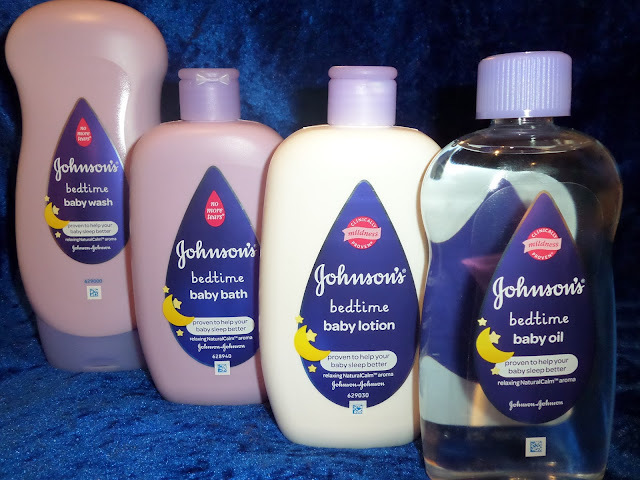 The JOHNSON’S® Bedtime Lotion had a lovely scent and the clinically proven mild and gentle formula left his skin feeling super soft. Not only did I notice a benefit of quality one-to-one time but also that Jelly Bean was extra calm and relaxed thanks to the special blend of gentle and calming aromas of the NATURALCALM® essences. 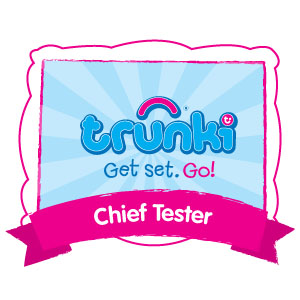 With a boisterous 4 year old in the house the last step – quiet time - was the hardest part of the challenge but thanks to him being a super big brother and me setting up a quiet activity for him to do alone, quiet time with Jelly Bean was achieved and bedtime were a success. Over the course of the challenge week I found Jelly Bean was a lot calmer and relaxed, and he settled to sleep quicker and easier plus once he was asleep he stayed asleep! Whilst our pre-challenge bedtime routine was very similar I think the addition of specially formulated to help sleep bedtime bath products helped calm Jelly Bean and taking the time to treating him to a relaxing massage every night made the difference, turning our normal bedtimes from hard work to peaceful and successful ones. We will be making sure to stick to our new bedtime routine as the JOHNSON’S® bedtime products, nightly massage and best big brother being super good really helped settle Jelly Bean to a good, deep and relaxed full night’s sleep. 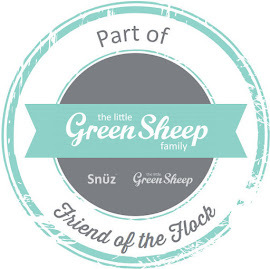 Even though it may seems hard work and time consuming to follow the 3 steps completely in the long term it saved us time as he didn't keep waking up and made the bedtime routine a lot less stressful for the whole house. Not only has the routine improved Jelly Bean's bedtime but it also has improved his big brother's too as I no longer have to rush my time with him or keep leaving him to go tend to the baby. Thanks to the JOHNSON’S® 3 step bedtime routine bedtimes are bliss once again! Are bedtimes a nightmare in your house? Why not take the JOHNSON’S® Tonight We Sleep™ Challenge. Aw I love the photo at the end! So cute! We've been doing the #TonightWeSleep Challenge too and it's been fabulous, Lily has been sleeping much better.